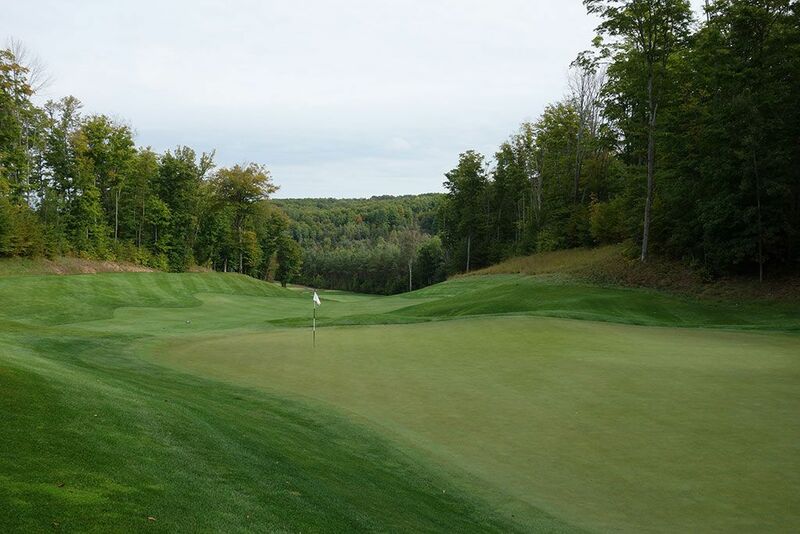 Course Website: Official Website - Visit True North Golf Club's official website by clicking on the link provided. 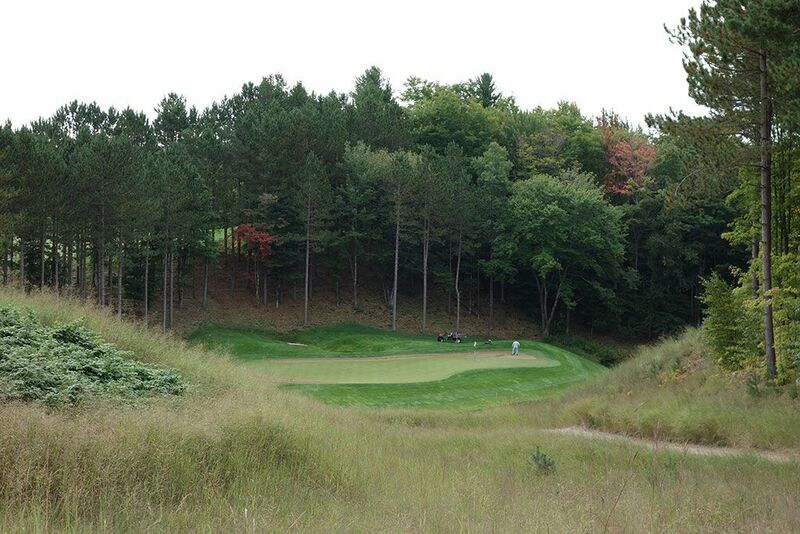 Accolades: Ranked 6th in Michigan on Golf Course Gurus' Best in State list. What to Expect: One of my first experiences at an upper end private course was at the Jim Engh designed Black Rock course in Coeur d'Alene. That course made me fall in love with Jim's work and I continue to enjoy his unique approach to golf course design. However, I've decided that Black Rock is the pinnacle of his work in America which has set an unrealistic expectation when visiting other courses he has designed. Prior to my round I had spoken to the head pro and expressed my fandom of Jim's work. He then told me, "If it weren't for politics True North would be a Top 50 course." 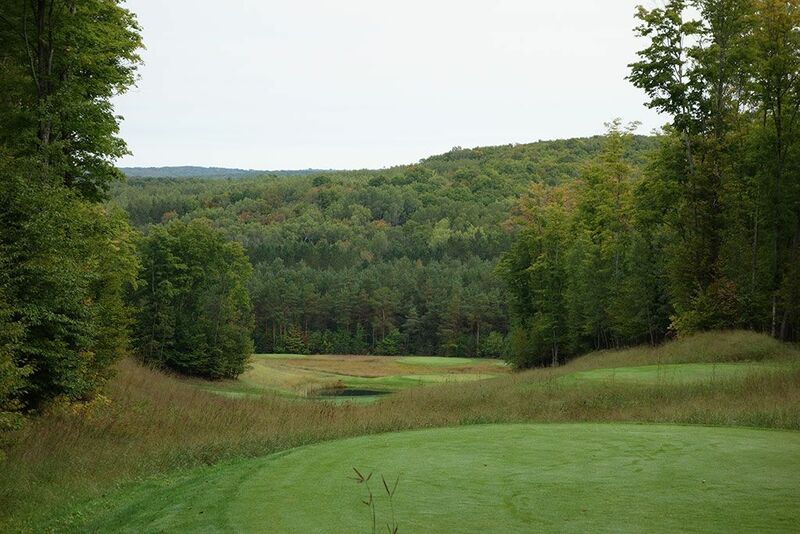 My expectations went sky high again as I embarked on Northern Michigan, unfortunately the course didn't live up to the lofty hype. That isn't to say I didn't enjoy it, because I did, it just wasn't as incredible as I thought it might be. 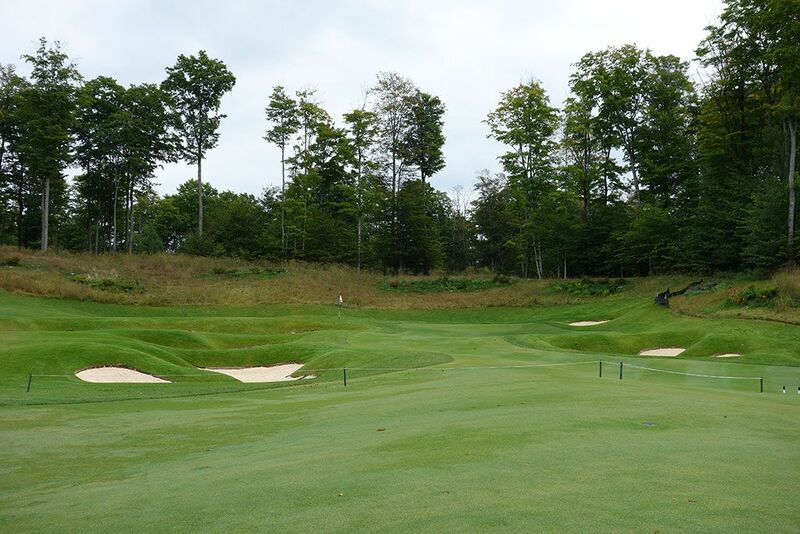 The course features over 100 feet of elevation changes with Engh's classic serpentine and pot bunkers proving difficult for most players to contend with. 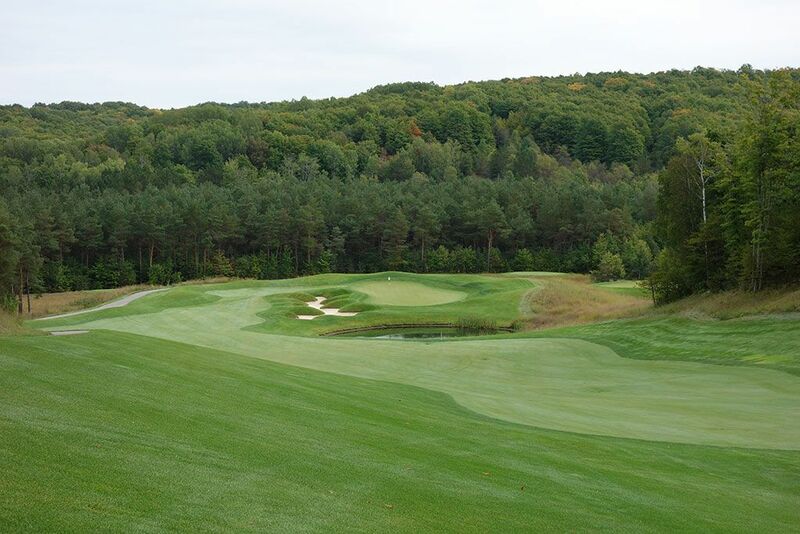 Conditioning is a strong suit at True North as is the general setting which feels secluded for most of the round with fall being an optimal time to enjoy the weather and colors. The layout is not for walkers but provides some very memorable holes and features which can largely be attributed to the elevation changes. 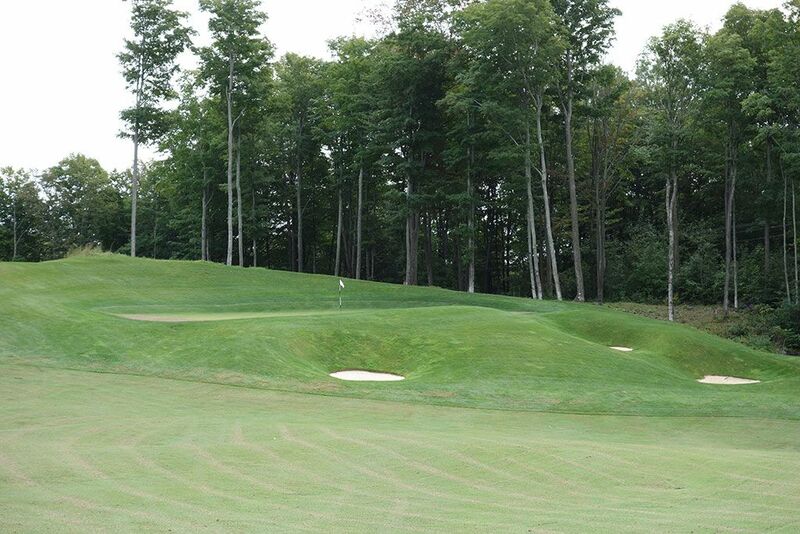 True North isn't for everyone, but those that appreciate the unique design will find few courses to compete with it. Signature Hole: 7th Hole – 595 Yard Par 5 – The understated tee shot on the 7th appears to be a gentle downhill dogleg left, but once you get to the middle of the fairway you will see a lot more is going on. 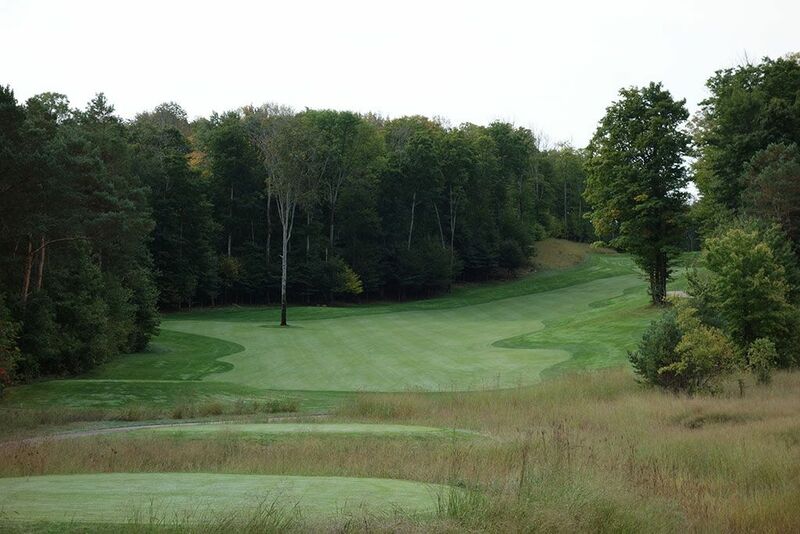 Like the par four 2nd, the fairway is bisected by 60 yards of rough that slows down the transition of the falling terrain that tumbles 20 feet through that section and 80 feet from tee to green. 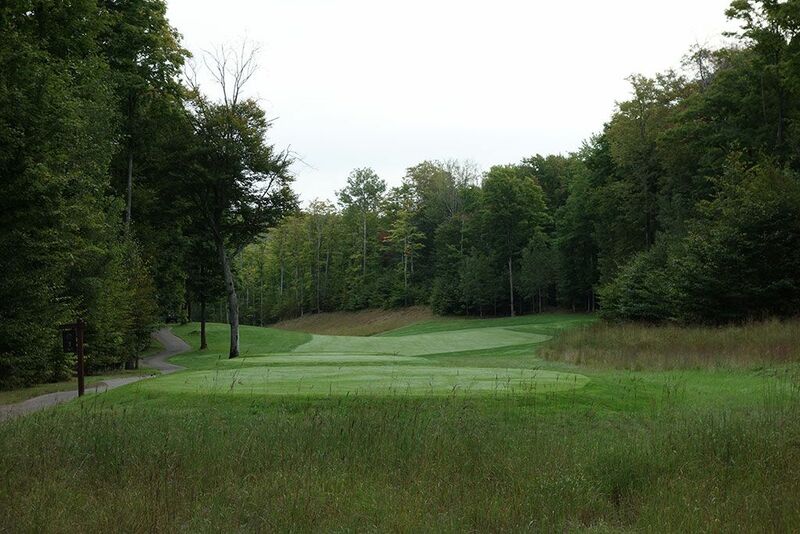 The second fairway runs downhill until getting to a pond that fronts the green and tightens down the short grass. The fairway wraps to the left around a long muscle bunker that flanks the left side of the green. The amount of activity around the green creates an exceptional risk/reward opportunity on the approach shot whether it is the second or third stroke you are taking to get there. 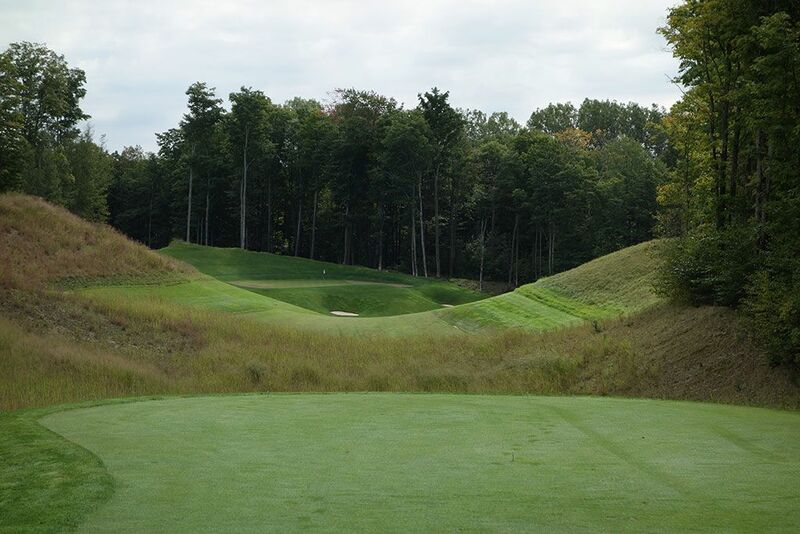 Best Par 3: 13th Hole – 198 Yards – The dramatic 13th boasts a 40 foot drop from tee to green with a pond protecting the entire right side of the putting surface and a bunker being placed long. The descension to the green takes two clubs off from the back tee and one club from the front tee, but there is a fair amount of forgiveness to work with considering the green is over 50 yards long. At a course full of memorable holes, this is the one-shotter you'll remember most. 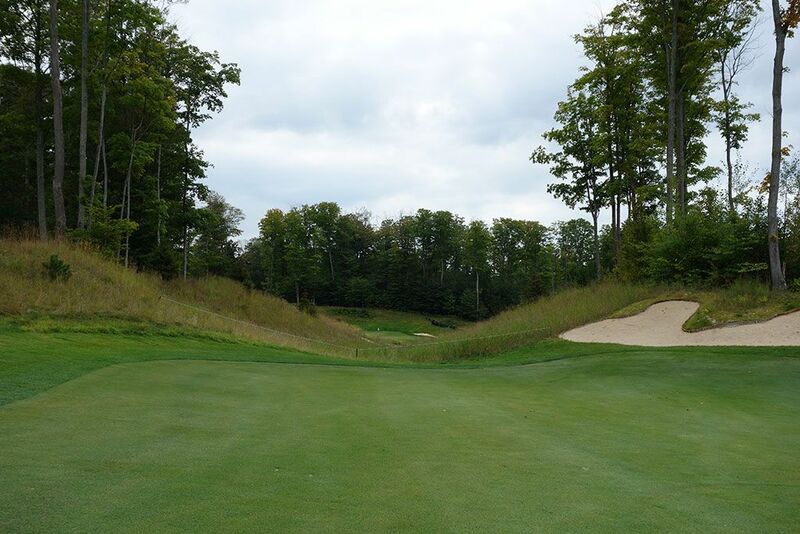 Best Par 4: 2nd Hole – 473 Yards – 120 feet of drop from tee to green awaits you on the inspiring 2nd hole that plays much shorter than the scorecard indicates. From the back tee the landing zone is blind but with trees lining both sides of the fairway you still will have a good idea of where to hit your drive. The fairway is bisected by a patch of rough so that drives over 250 yards will find the long grass unless they are carried 300+ yards to where the fairway picks up again. 50 yards shy of the front edge of the green rests a pair of small pot bunkers while going left of the hole at that point reveals a pond. Listed as the #1 handicap, Jim Engh doesn't wait long to test your game. 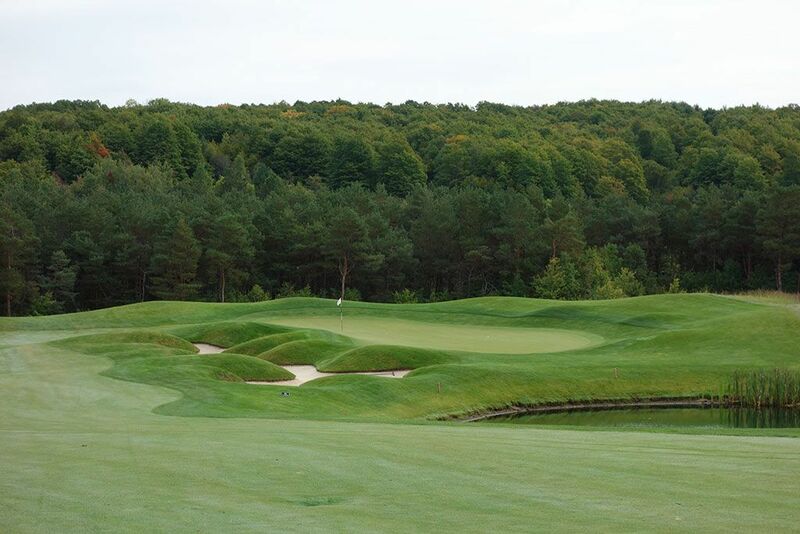 Best Par 5: 18th Hole – 562 Yards – Jim Engh is known for creating dramatic, and often unique, finishing holes with True North fiting into that category on both accounts. Off the tee, players are afforded two options to consider; to go the taller fairway on the left with a chance of reaching the green in two or hit to the lower fairway on the right that is more forgiving but creates a longer trek home. A row of trees separates the two fairways so once you've picked a path, you are committed to it the whole way. From the left you have a forced carry to the fairway followed by another forced carry to a heavily bunkered green sitting at the base of a down slope. From the right fairway players will plot along and hope to set themselves up with an 80 yard third shot where the angle to the green opens up best and a backstop is afforded. It is quite the hole and has been reworked since originally opening, but it still provides a climatic finish to a very dramatic course. Birdie Time: 15th Hole – 320 Yard Par 4 – Time for some revenge on Old Man Par. The short 15th features a generous fairway, 45 yards wide for much of it, and not a lot of distance to cover enroute to the green. 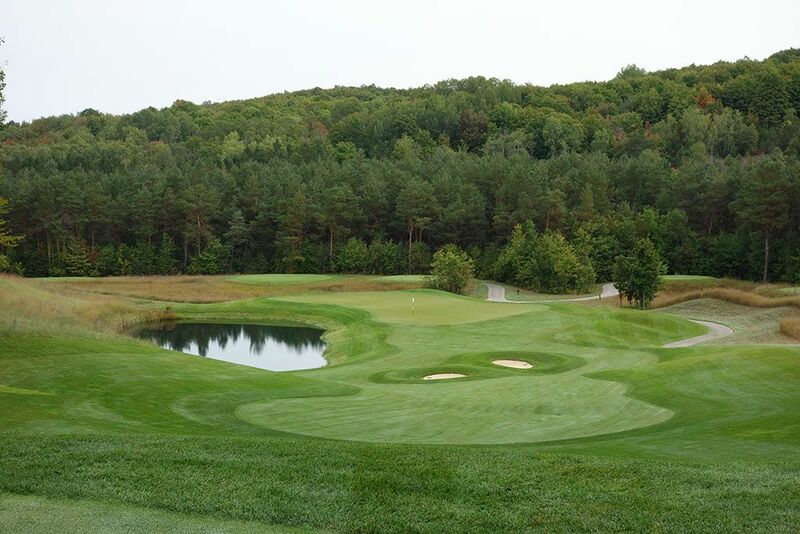 Any tee shot over 250 yards from the back tee will offer the wide landing area to discover before setting up a short wedge shot to the raised green with a trio of small bunkers below the putting surface. If you are between clubs then take the longer of the two since the backstop will help work balls back onto the green and set up a look at birdie. 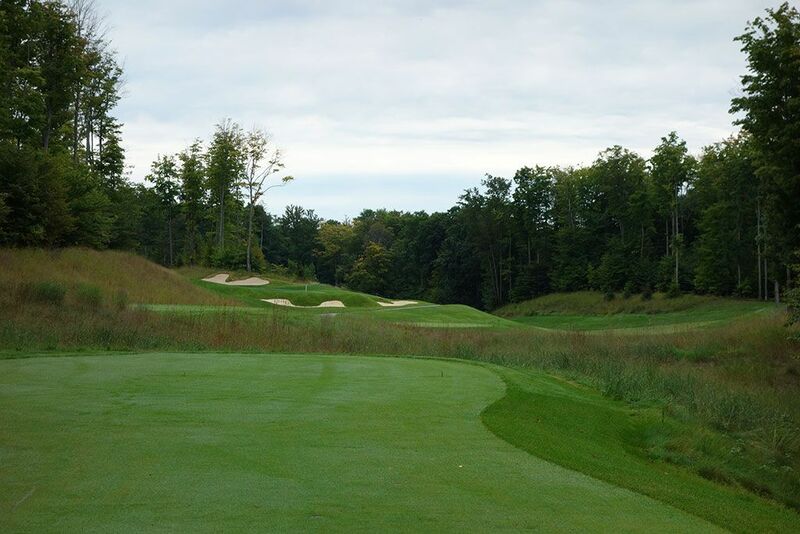 Bogey Beware: 8th Hole – 562 Yard Par 5 – After enjoying a long descension on the par five 7th, players are asked to turnaround and head uphill on this second of back to back par fives. A lone tree in the fairway on the left side sets the boundary that you should be focused on staying to the right of. Missing to the left can block players out on their second shot and take a longer hole and make it even longer. An astounding 125 feet of elevation must be climbed enroute to the putting surface that is fronted by one of Engh's signatures muscle bunkers. Judging how much the elevation climb will affect each shot along the ascension can be puzzling and be a big factor in not hitting this green in regulation. This hole is a marathon and test of one's patience and focus where any lapse in judgment will be penalized.